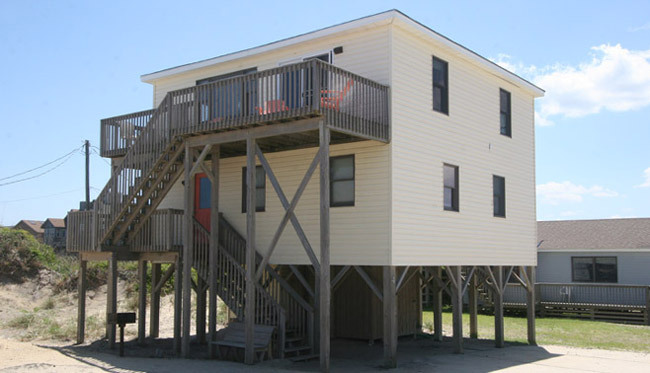 Geri's Place Rental Cottages have been welcoming guests to the Outer Banks for over 30 years. 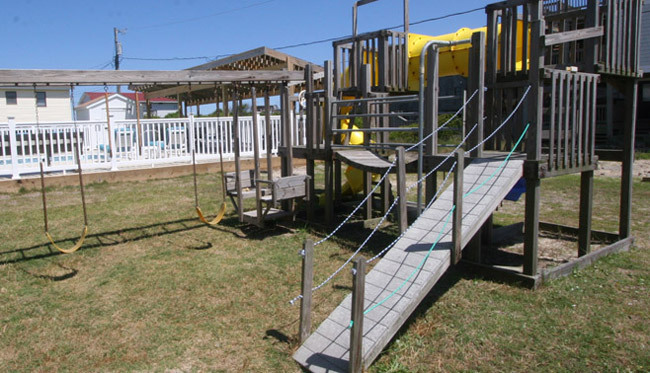 Located at the 21 milepost in South Nags Head, the Cottages at Geri's Place are within a short distance to many local attractions, while escaping the crowds of the beaches only a few miles North. 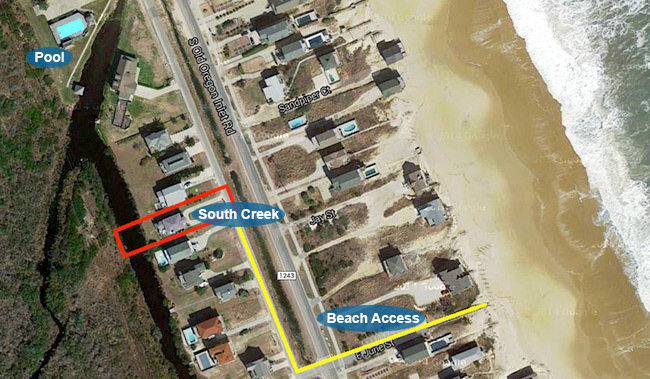 Geri's Place is situated less than 1 mile North of the Park Service National Seashore, which makes for only a short walk to arrive at nearly undeveloped beaches. 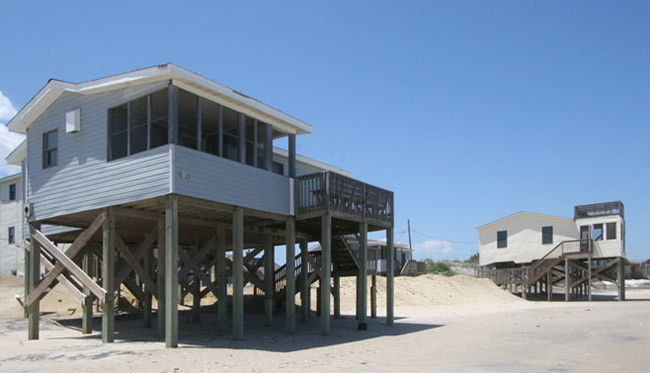 Other places of interest within the immediate area include both the Bodie Island Lighthouse 1 mile to the South and only a few miles North of one of the premier fishing and beach driving locations, and Oregon Inlet, one of the premier fishing and beach driving locations on the coast, 4 miles to the south. 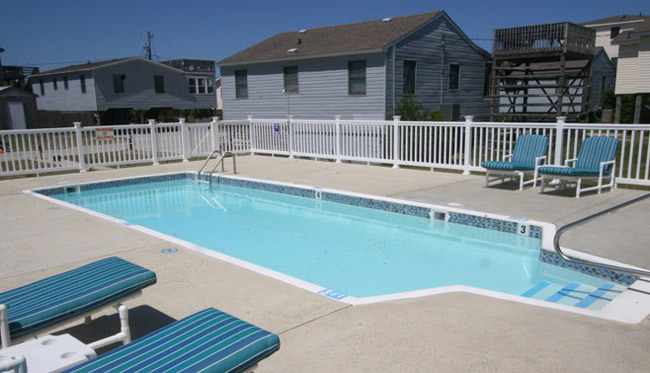 Geri's Place Rental Cottages offers 10 separate houses, and 3 apartments for rent, all located on the ocean side of the beach road. The cottages range from 2 bedrooms to 4 bedrooms in size. 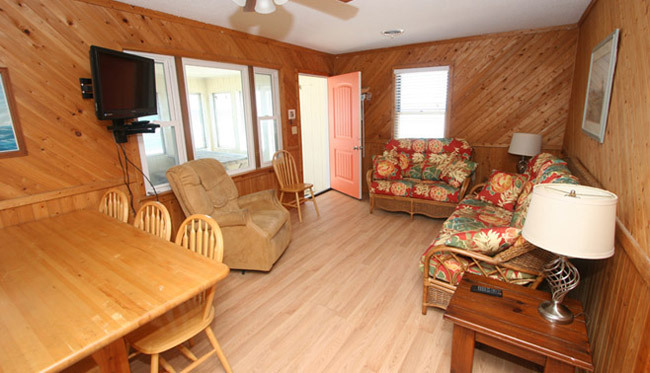 All cottages are comfortably furnished with full kitchens, washer/dryer, cable TV, telephones, DVD player, and AC. Geri's Place also offers a swimming pool and a playground for it's guests. Geri's Place now offers two additional "off-premises" houses for rent! Down South is just across the road from Geri's place, and South Creek is only minutes away from our office for your convenience! 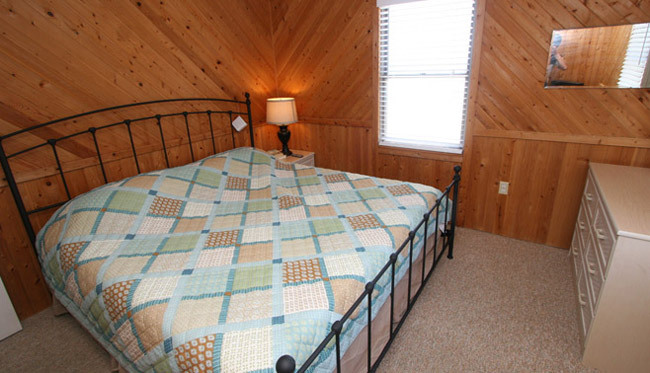 Rentals during the on-season and mid-season, from Memorial Weekend through the second week of September, are on a weekly basis with all cottages checking in and out on Saturday. In the off-season, cottages can be rented by the night or the week, there is a three night minimum. 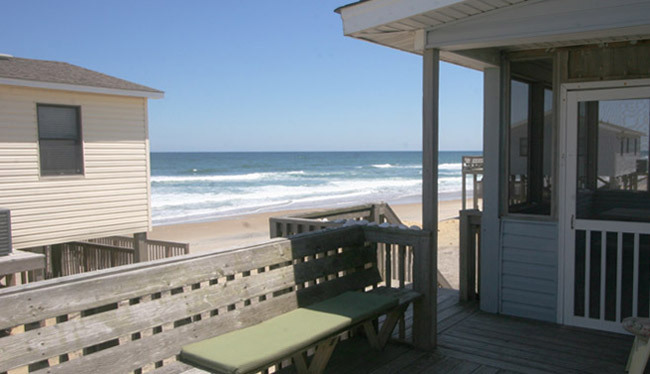 Please click here to view our rates for all our Outer Banks cottages and apartments.